Selaginella martensii Jori is a very unusual plant with a ferny, mossy appearance, it is not a true moss but rather a type of lycophyte, which are the oldest living vascular plants that date back to 410 million years ago, making them somewhat prehistoric and unlike most plants by design. 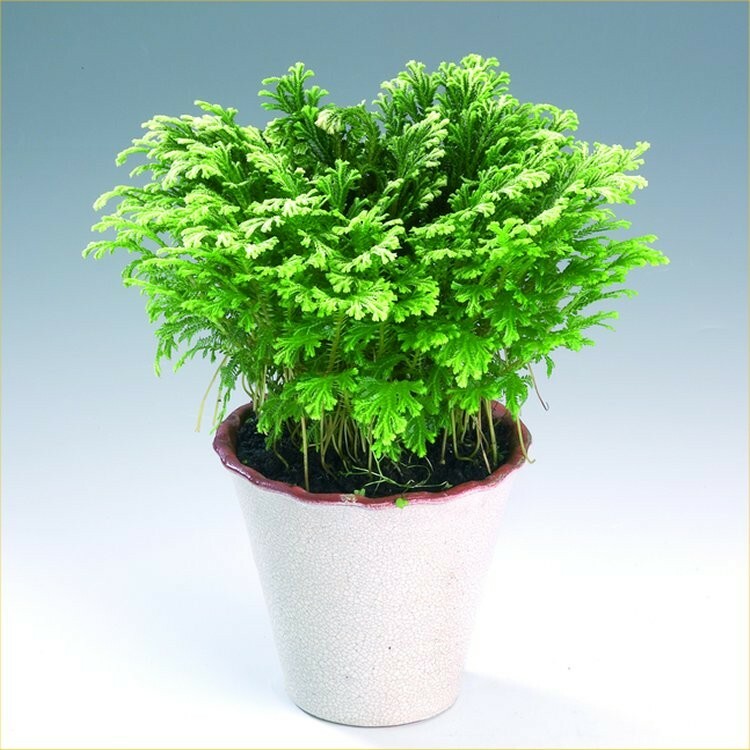 It is native to Mexico and Central America, and will make a great green houseplant for a traditional or modern setting. Supplied in an approx 9cm white display pot, simply position and enjoy.